A recent gift to the Wylie House Museum, the 1881 collected edition of Peterson’s Magazine allows us to peer into the writing desks and wardrobes of 19th century women. The beautifully bound book features each issue of the magazine throughout the year of 1881. 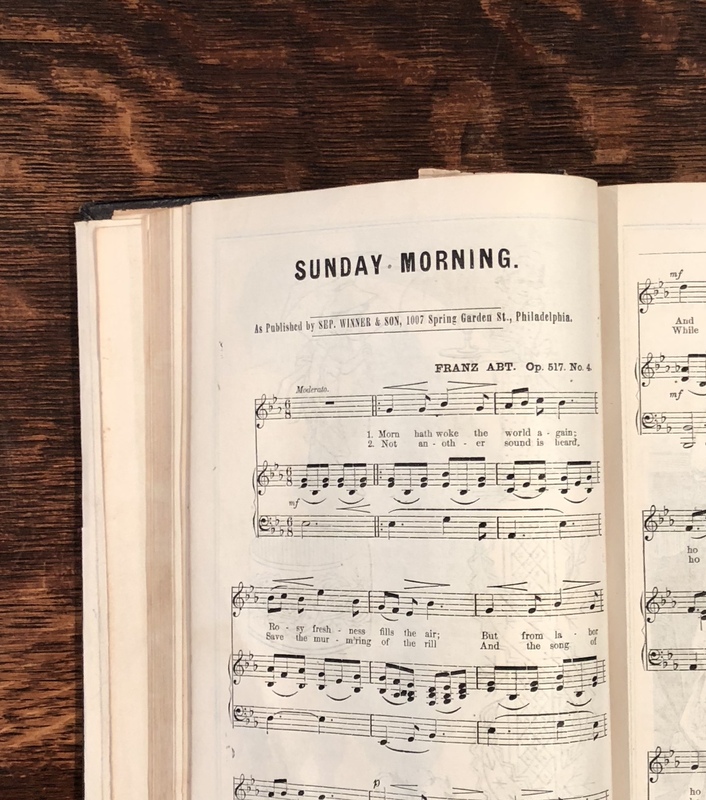 Originally published as Ladies’ National Magazine in 1842 by Saturday Evening Post partners, Charles Jacobs Peterson and George Rex Graham, the periodical emerged as a cheaper alternative within the hugely popular market of women’s magazines. The publication continued as Peterson’s Ladies’ National Magazine, and then simply Peterson’s Magazine, until 1892. With a focus on the domestic and consumer lives of middle-class white women, the pages of Peterson’s featured fashion, embroidery patterns, sheet music, engravings, poetry, short stories, serialized fiction, recipes, remedies, housekeeping advice, puzzles, and more. While the content of the women’s magazine emphasized the woman’s role as centered on her family, as a wife, mother, and keeper of the household, the publication of Peterson’s, and other women’s magazines, created professional opportunities outside the home for women writers and editors. In this sense, the Wylie House’s newly acquired artifact not only provides insight on historic fashions and fictions, but also mirrors the complex experiences and expectations of 19th century women. The increasing popularity of women’s magazines throughout the 1800s, as well as periodical publishing, in general, developed simultaneously with an emerging mass consumer culture, as well as rapidly advancing printing technologies and expanding services of the federal post office. 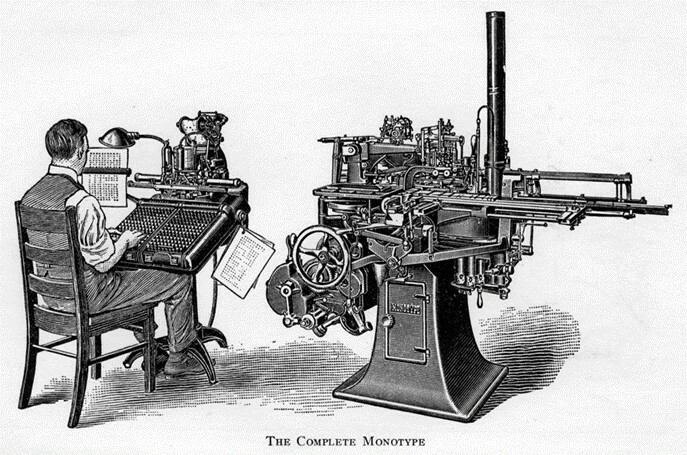 Especially within the latter half of the 1880s and 1890s, magazine publication and circulation became less expensive and more accessible. 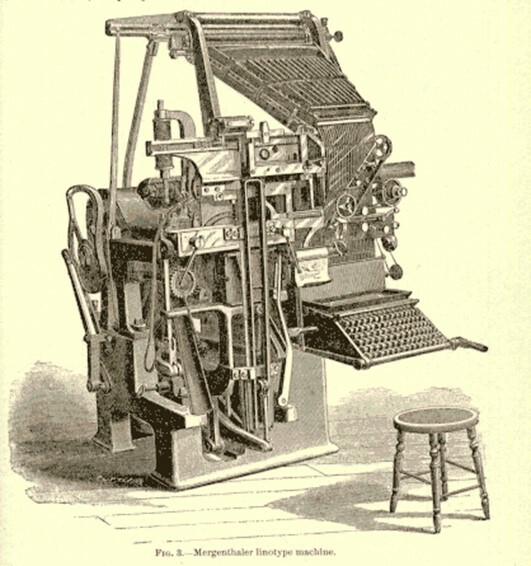 The Wylie House’s Peterson’s predates many of these advancements, including lowered postage for second class mailing (1885), the invention of the linotype machine (1884), photoengraving (1886), monotype (1886), photographic film (1888), large-scale color printing (1893), and free postal delivery in rural areas (1897). Because of these breakthroughs, thousands of magazines publications were in circulation by the turn of the 20th century. As women’s magazine publication circuits expanded, so did advertising revenues and marketing strategies. These strategies, geared toward the middle class, domestic woman, recognized her as the primary purchaser of household goods. Within the museum’s Peterson’s, examples of publication efforts to emphasize clothing, cosmetic, and household products reveal this emerging shift in content. 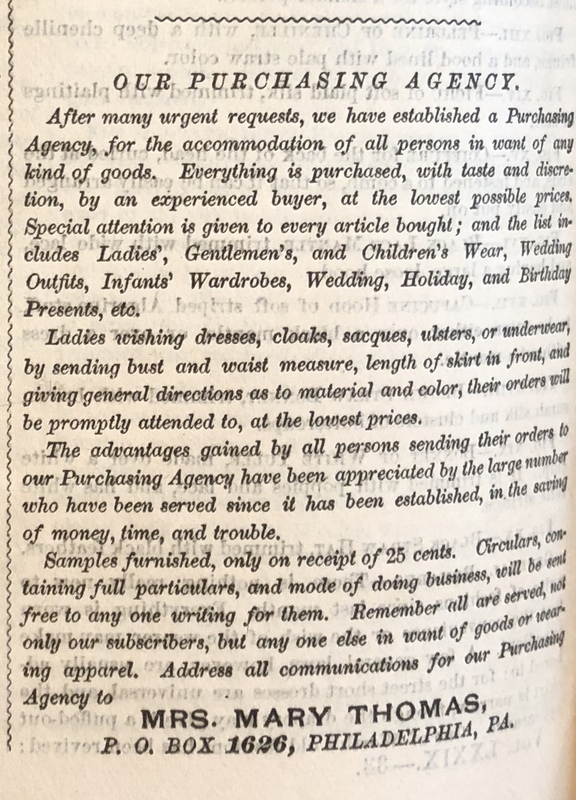 At the conclusion of each monthly issue, a section was devoted to the contact information of the magazine’s purchasing agent, so that women readers could send for patterns featured in the fashion sections, or a variety of other goods featured in the housekeeping sections. Each month new fashion advice and illustrations of dresses, coats, and accessories decorated the pages of Peterson’s. 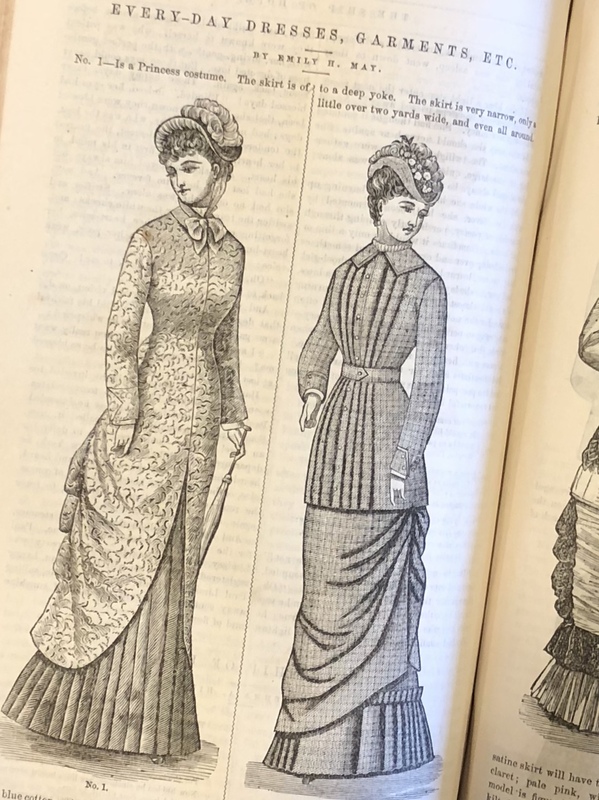 As the popularity of fashion periodicals, paper patterns, and home dress-making grew, the constant flow of new styles and fashionable silhouettes quickened. Much like today, the constant stream of new, in-trend fashions prompted women to regularly reimagine their wardrobes and reopen their pocketbooks. 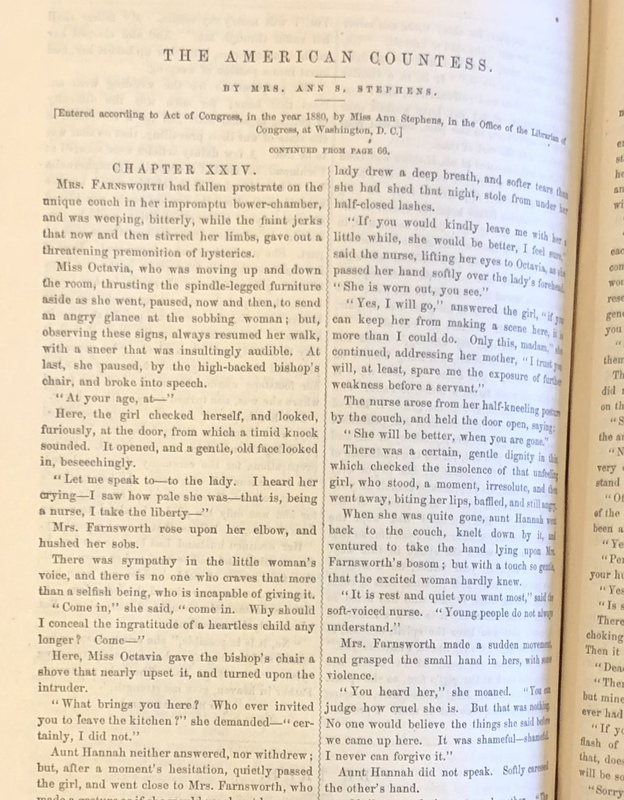 In this way, the goods marketed toward women in the magazines of the 19th century reveal the tastes, values, and desires of the readership, while also revealing the ways in which an emerging mass consumer culture was constructing and reconstructing these tastes, values, and desires on a monthly basis. French fashion trends especially influenced the garments of American women. 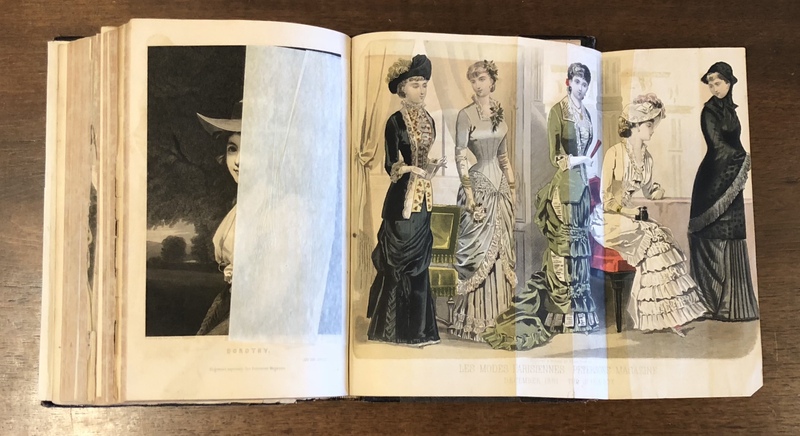 Like many other popular American woman’s fashion magazines, Peterson’s featured bound-in, colored French fashion plates. These beautiful works of art are noteworthy inclusions of the magazine, displaying the 19th century feminine ideal. 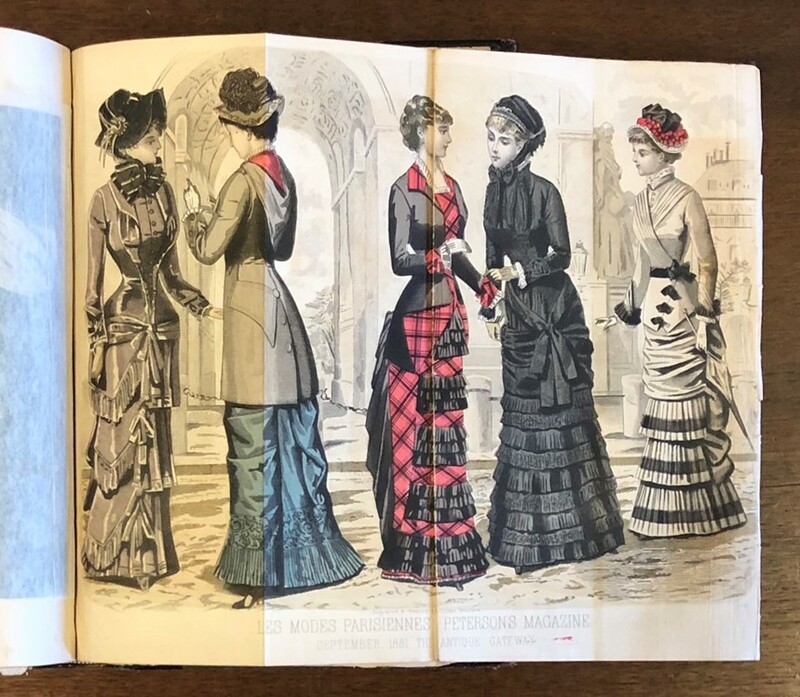 Despite the impracticality of many of these designs for the varying lifestyles of women, Peterson’s French fashion plates, as well as the other garment illustrations in the magazine, are reflective of the styles worn by the women of the 1880s. During this time, the popular silhouette was one that emphasized the “natural” figure. The more tightly fitted skirts of the “princess line” dress required longer corsets that extended to the stomach. Just as women’s and men’s sphere became further defined a separate, the popular woman’s fashions of the era became increasingly restrictive. While the content of most, primarily, sought to define women as the consumer and keeper of the household, the women’s magazine also opened opportunities for women, outside of the home. Furthermore, the popularity of these publications reflected the increased literacy and educational opportunities for women in the United States during the 19th century, largely due to the expansion of public support of education. By the end of the 19th century, many women were even seeking higher education. Not surprisingly, this came with substantial pushback that attempted to redefine women’s education as distinctively domestic. Still, many women did pursue professional work. Women’s magazines provided socially acceptable professional opportunities as writers and publishers, allowing women to actively influence and even control the content in publications like Peterson’s. Though these women often reinforced stereotypical gender roles and expectations in their writing, their careers exemplified the increasing autonomy of women within their changing worlds. While the moralistic messages of the fiction and non-fiction of women’s magazines supported an ideology of separate spheres, the female staff members of these publications were far from constricted to the home. Highly successful female editors like Sarah Josepha Hale, editor of Ladies’ Magazine and Godey’s Lady’s Book, and Louisa Knapp Curtis, editor of The Ladies Home Journal, contributed significantly to the development of popular literature, literary change, and the presence of the female perspective within writing. Peterson’s employed many women writers, including Ann S. Stephens, who also served as an editor for the magazine. Stephen is best known for popularizing the dime novel and wrote over twenty-five novels, first printed in serial form and then in full-length volume. Historic women’s magazines, like Peterson’s, embody an array of domestic and professional female experiences of the 19th century. Some women’s magazines even eventually provided a platform for writings on temperance and woman’s suffrage. Through the popularization of publications for women and, sometimes, by women, the desires and aspirations of women became increasingly culturally influential. 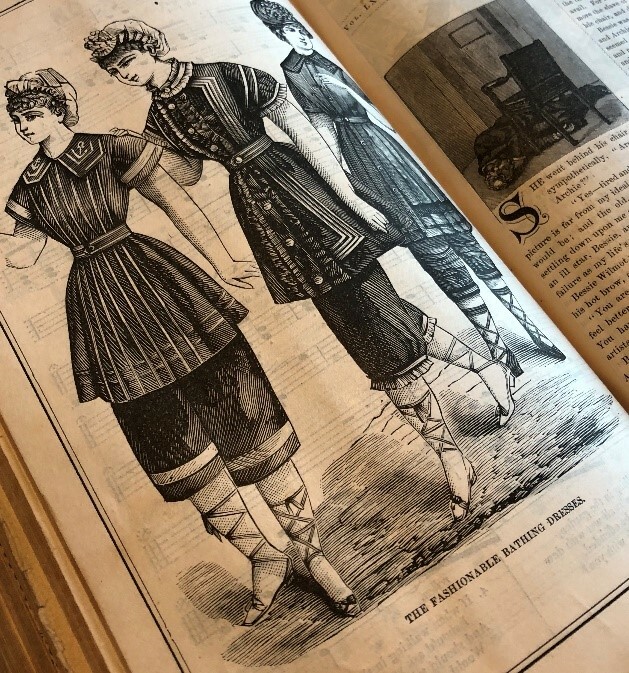 An exciting addition to the Wylie House Museum, the 1881 Peterson’s Magazine book allow insights into the experiences of 19th century women and the dynamic medium of the women’s magazine. Jolliffe, L. (1994). Women's Magazine's in the 19th Century. The Journal of Popular Culture, 125-140.